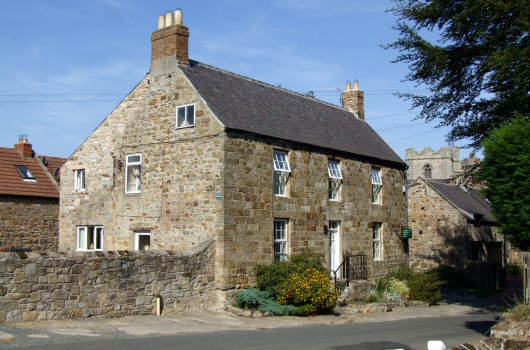 The Farmhouse is the original 17th century house at Village Farm between Alnmouth, Alnwick and Warkworth in Northumberland. 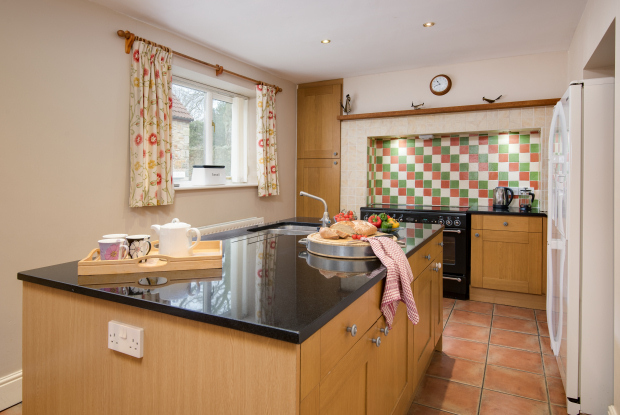 It has been extended and modernized to create a luxury four-bedroomed self-catering holiday cottage, sleeping a maximum of ten, that is ideal either for a large family reunion or for a larger group to share. 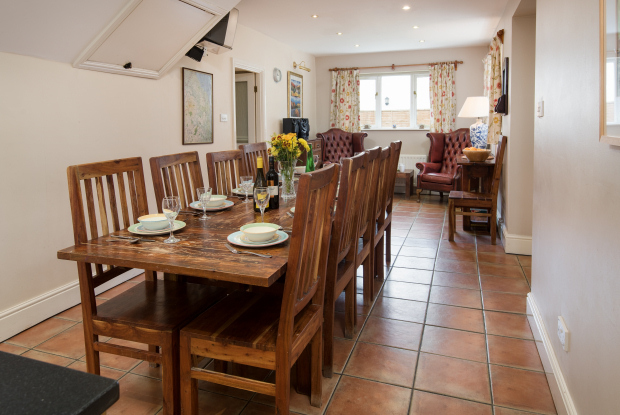 A discount is available in this cottage if the number of people in your party does not require the use of all the bedrooms. Please email or telephone for a price. From the parking spaces, the entrance hall is reached through a small walled area and lawned garden, where there is a patio with garden furniture. The kitchen is very long and spacious and can easily seat a larger party. It has a gas hob, electric range and microwave oven. Unusually, there are two sitting rooms, each with a wood-burning stove or fireplace and Sky television / DVD player (this often proves useful for a larger family or when children want their own space). 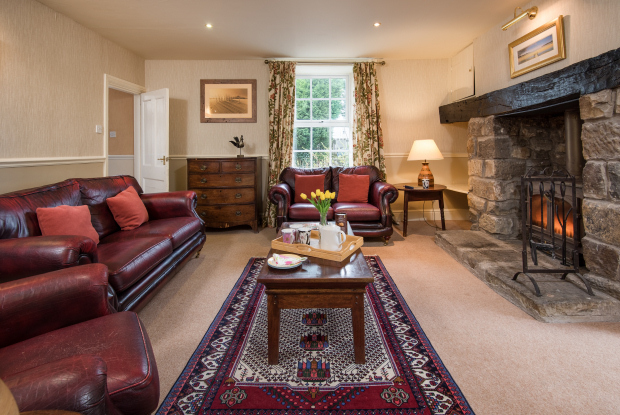 Access to the patio and garden is available from a French window in the west-facing sitting room. 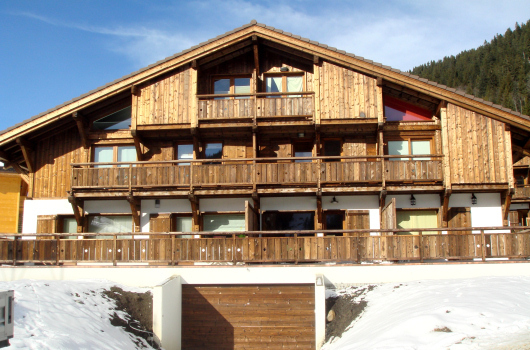 The four bedrooms on the first floor are all en-suite. 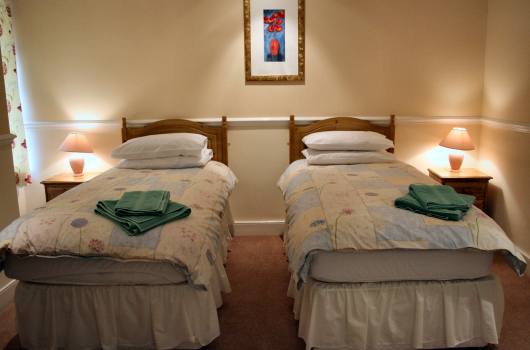 The two double bedrooms are en-suite with showers, while the two twin rooms have a third single bed and are en-suite with either shower or bath. There is a fourth shower in the ground floor wet-room. 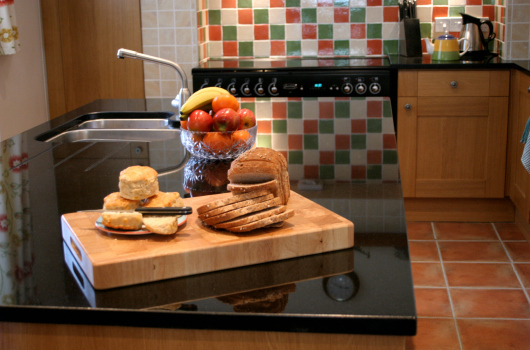 The Farmhouse is a non-smoking and pet-free holiday cottage.